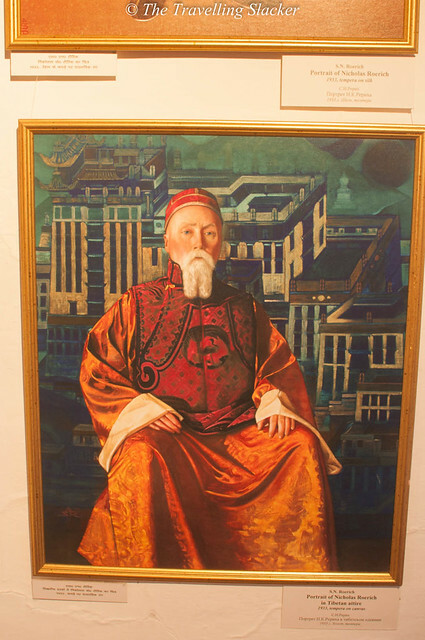 I don’t exactly remember when I first came across the name of Nicholas Roerich. In all probability, I worked it backwards from Devika Rani Roerich. Nevertheless, he has been a highly interesting character for me for a long time now. Surely many British luminaries settled down in various parts of this country but how often do you find a Russian settling down in India, apart from those hippies in Goa? And his arrival predates the era of Nehru-USSR bonhomie by a couple of decades. So, I arrived at Naggar after the Kheerganga trek. It did not particularly impress me on the first couple of days. 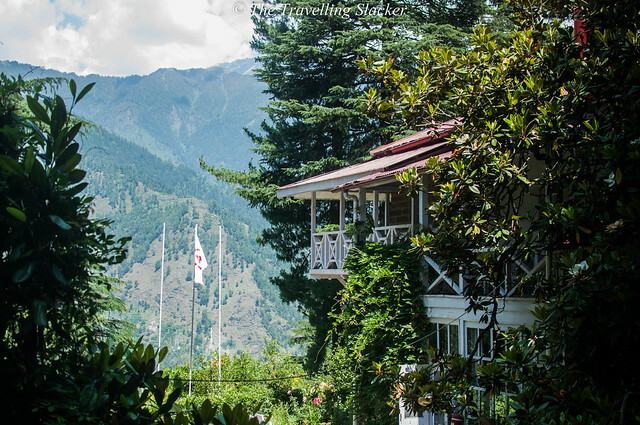 The Naggar Castle is the main attraction here. But this building has been turned into a hotel and there were way too many people inside the courtyard. Besides, it wasn’t as big as I’d imagined. 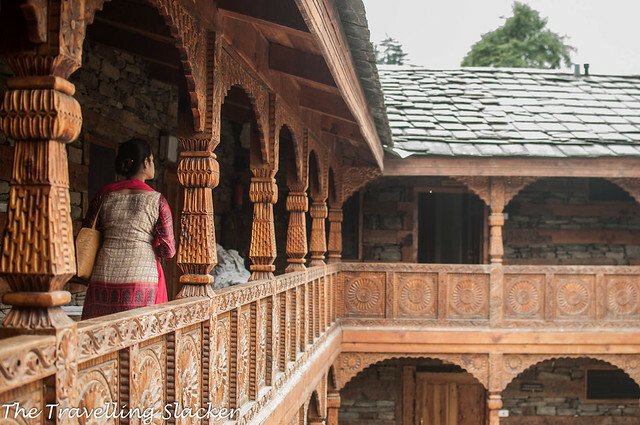 However, it is still one of the biggest examples of traditional Himachali Architecture. 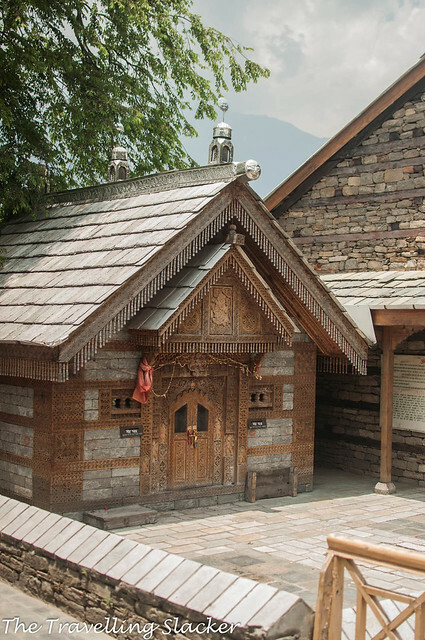 If you rally find this interesting, you can read more about this style of architecture called Kath Kuni architecture. A closer inspection of the intricate details is needed to truly appreciate this structure. The next day was worse as I made a failed attempt at Chanderkhani Pass for various reasons I won’t discuss. So, I was desperately looking to have one worthwhile experience before leaving the town. 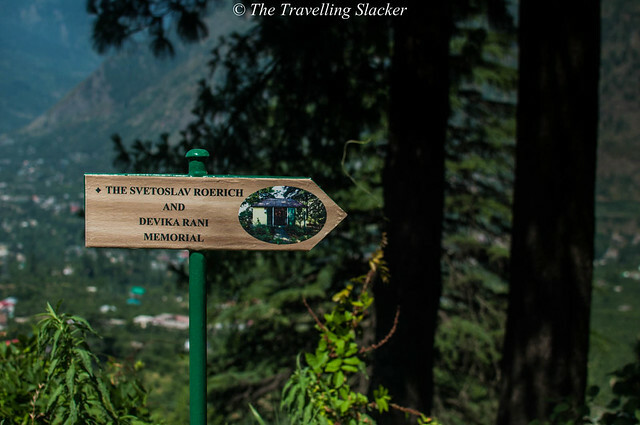 That brings me to the International Roerich Memorial Trust the next morning. 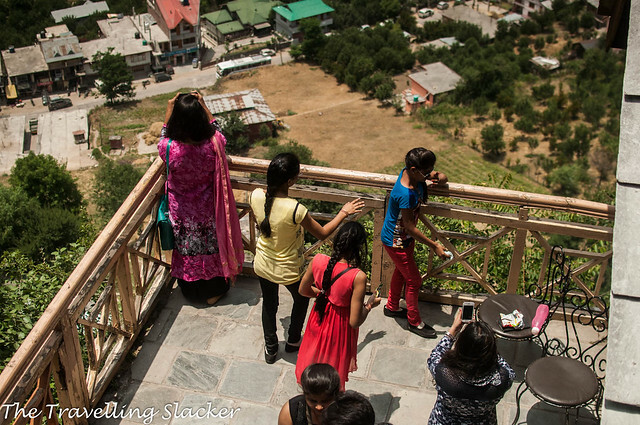 It is around a kilometre away from the Castle, on the way to Rumsu village (base for Chanderkhani Trek). Interestingly, the roads are good to this point and disappear just after it. 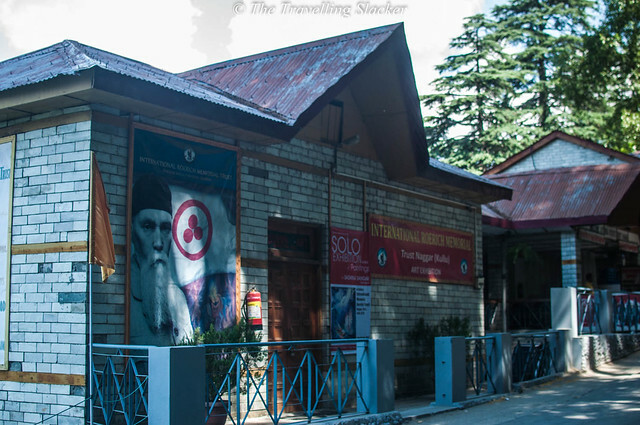 Roerich or rather his larger than life portraits loom large over this immaculately maintained complex. The complex is made up of several major components. 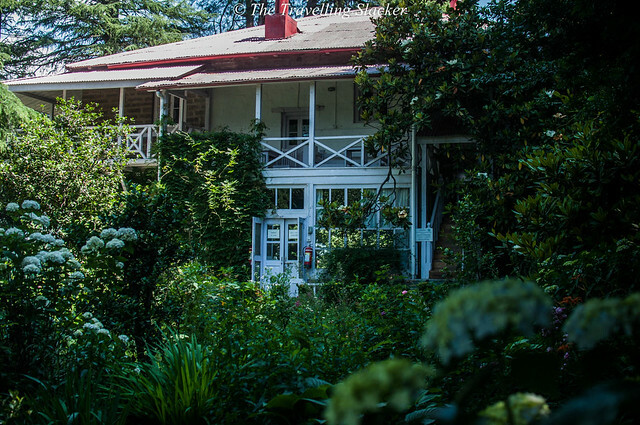 The central attraction is the old bungalow where the Roerich family used to stay. Apart from that there is an art gallery, a museum and another small attraction that I’m describing next. I bought my tickets and walked towards the bungalow. However, I noticed that there are steps going downhill towards a small hut. 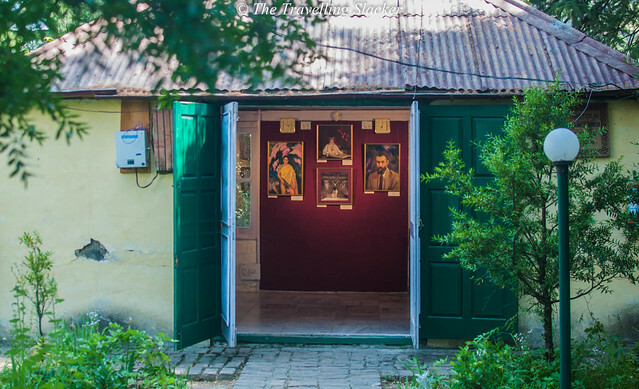 I went down and even from a distance I could see some paintings, those portraying Shevtoslav and Devika Rani, the son and daughter in law of Nicholas Roerich. It was just one small room, but it was heavy with nostalgia, especially for cinephiles. 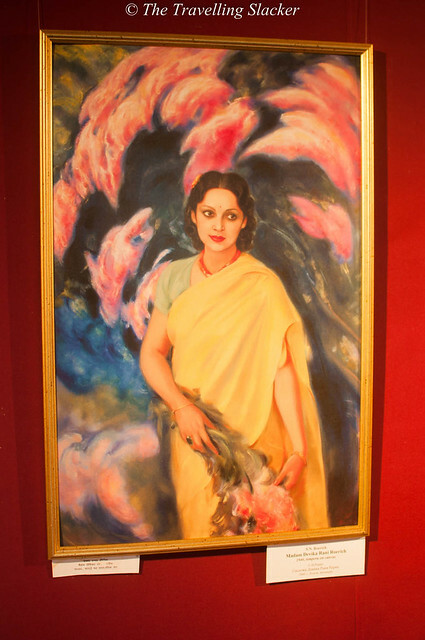 With due respect to Svetoslav, who was a great artist himself, it was Devika Rani who drew my attention. The room was full of old memorabilia. 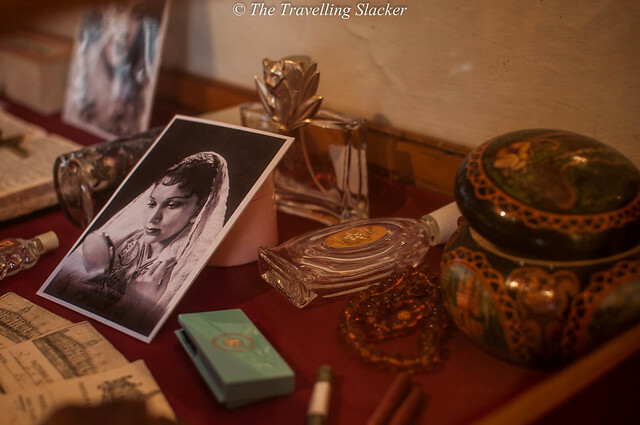 Old photographs, diaries, letters, paintings, perfume bottles, many other small items have been preserved with utmost care. Most of them seemed to be of Russian origin, full of Cyrillic script and bear symbols, most probably gifted to her by the in-laws. The reason why Devika Rani fascinates me is because of the elusiveness of her films. She represents the earliest era of Indian films that has not been fully preserved. I have never seen any of her films in entirety. But this adds to the sense of mystery surrounding her. She was also a path breaker of sorts. Back then, women from aristocratic Indian families did not consider acting to be a respectable profession, especially for women. Hailing from the illustrious Tagore family, she did break quite a few stereotypes. Simply by being in that room for 15 minutes, I was transported to the back to the era of Bombay Talkies although there was no mention of Himashu Rai. His Karma perhaps! 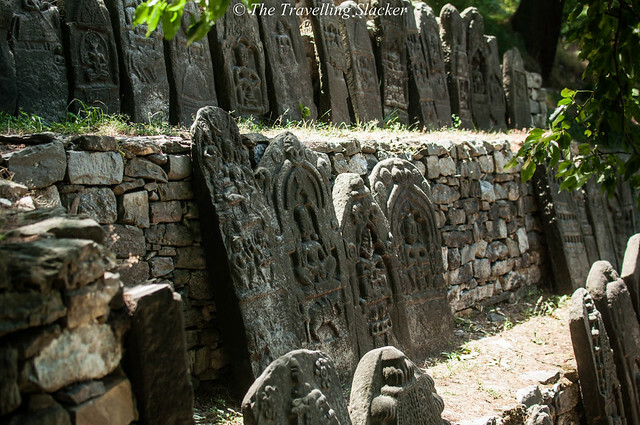 The tomb of Roerich is also a part of this complex, a few more flights downwards. I did not go that far and just paid my respect from a distance and came back to the main bungalow. The rooms on the ground floor feature many of the original paintings by the Roerichs. However, photography is not allowed here and I cannot fully describe them through my words. 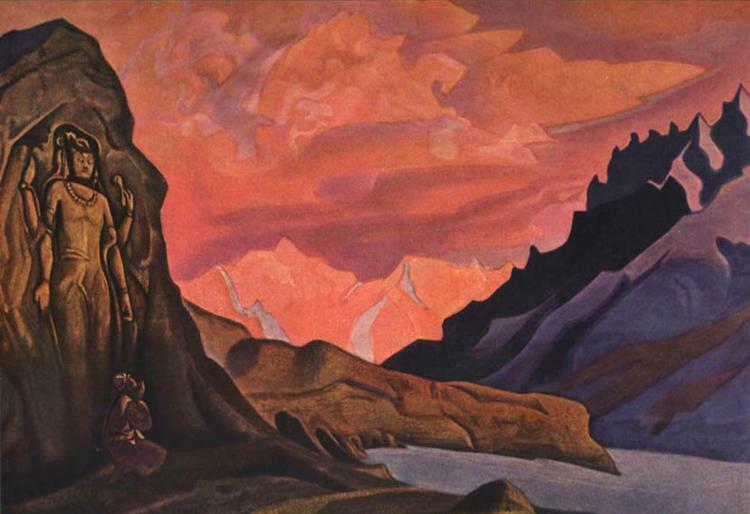 Many of those paintings were deeply inspired by his expeditions through Asia, including the remote lands of Himachal. There are also some older paintings, from his days in Russia, mostly consisting of Russian Orthodox Christian iconography. But the one that helped me transcend the trappings of space and time, if only for a few seconds, was the one called Maitreya. It depicted a colossal monolithic statue of Maitreya Buddha, somewhat similar to Bamiyan Buddhas (RIP), and a man on his knees in front of him. I cannot express it, but it was an delirious and unnerving moment for me. Thanks to WikiArt, here is a digital version available that I am reproducing below. There were some old photographs, letters, and other belongings too. I learnt some more interesting titbits about the family. For instance, his wife Helena Roerich was one of the most educated women of her era and she traced back here ancestry to the likes of General Kutuzov of Borodino fame and the great composer Modest Mussorgsky. One could also find details about the Roerich Pact and various other initiatives and philosophies taken up by the Roerichs. 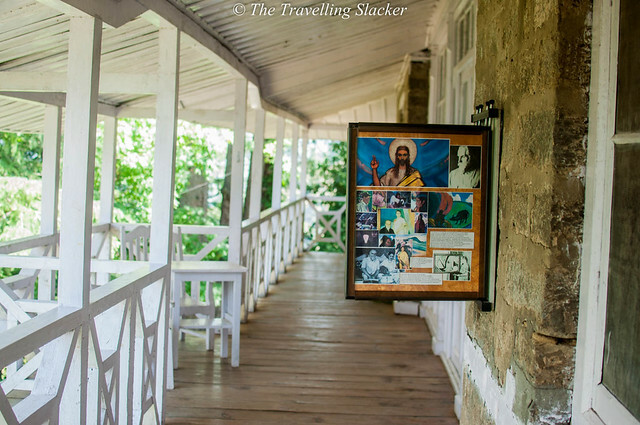 The rooms on the upper floor contain the furniture used by the family and the rooms remain mostly locked but one can just peek through the glass windows. Also, a vintage car belonging to the Roerichs can also be seen downstairs (couldn’t figure out the brand). 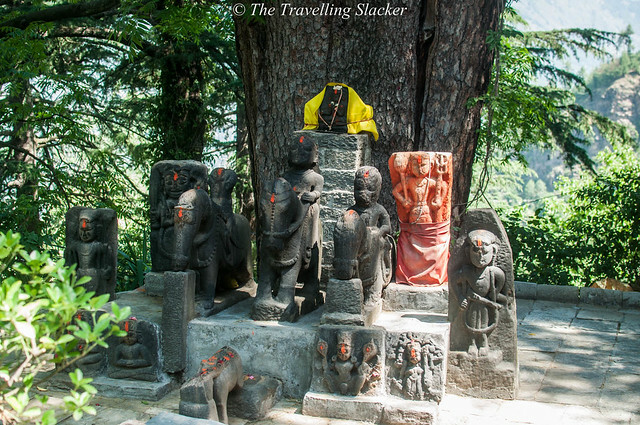 Also, you will notice a cluster of statues, depicting local Kullu deities in the compound. They probably depict the lifelong interest of the Roerich in local culture in particular and eastern mysticism in general. I left the Bungalow, and entered the art gallery nearby it had some exhibition going on, depicting works of other artists. 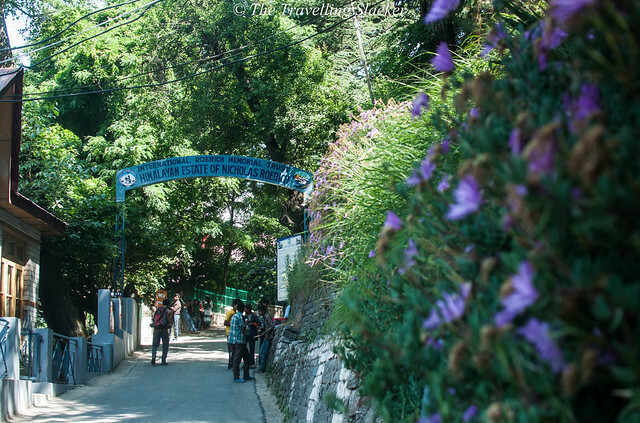 They were great but I was more interested in Roerich’s work and then I realized that there is something more to be seen, the Urusvati Himalayan Research Institute. Yet again, photography was prohibited inside. But there was a lot to see. Paintings, photographs, books by not only the Roerichs but many other artists are visible here. There are some other interesting compartments with Russian artefacts such as Mytroshka dolls, and mannequins with traditional attire. Urusvati (The Light of the Morning Star) is an unique institution combining scientific research with eastern philosophy. I think my hurried visit was not enough to understand the full extent of things it is doing. 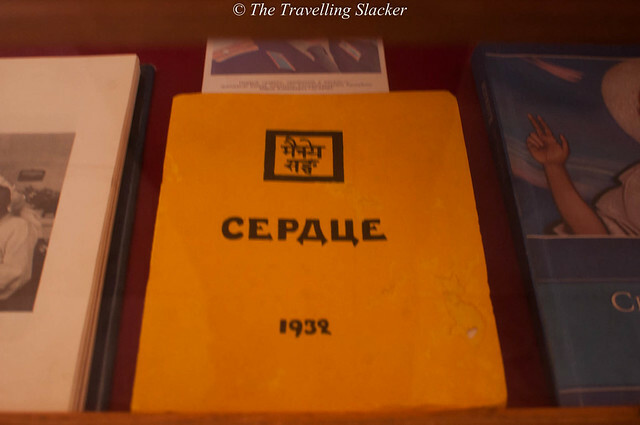 It also had some books by George De Roerich, the other son of the Nicholas, who is lesser known. 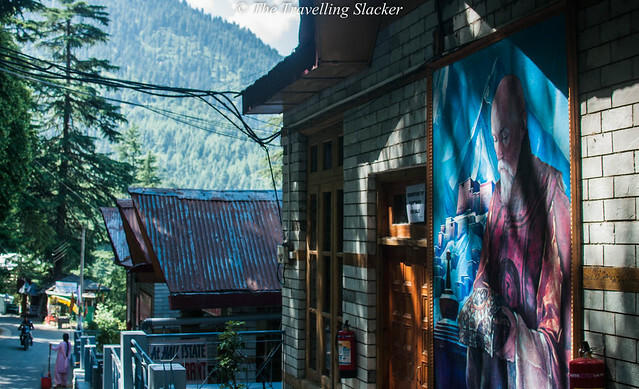 He was a researcher of Tibetan studies, so I think all the Spiti-Ladakh lovers should explore more of these. I spent around three hours in the Roerich territory. I needed more time but wasn’t possible anymore. This will need a return. OK i’d exaggerated the rarity of Devika Rani films. There is at least one Devika Rani film that you can watch immediately. I am talking about Achut Kanya (1936), a film that was pathbreaking in more ways than one. It is available on YouTube itself. Watch it below. ← Where to go while in Ukraine? This looks like a beautiful estate. It seems like a great place to spend a day exploring and wandering about. I love the art work that you have photographed here. There are way too many things in India to discover! Feel like we’ve seen nothing. Reading articles like this makes us discover more and learn so much more. I am glad this turned your experience around. It looks like a lovely place nestled in the woods! I will be the first to admit I did not know much about any of these people or their life before you showed it. It was a great virtual tour! What a fascinating insight here, and I’m sorry to say that I had no prior knowledge of Devika Rani. It must have been quite exciting going into the hut full of all that memoribilia! What an interesting story. I had never heard about the place until i read your post. It looks so peaceful and quite…I would love to go here for some peace of mind. Yep….its difficult to find Russian linkage in India, apart from Goa…so this is a surprise factor! 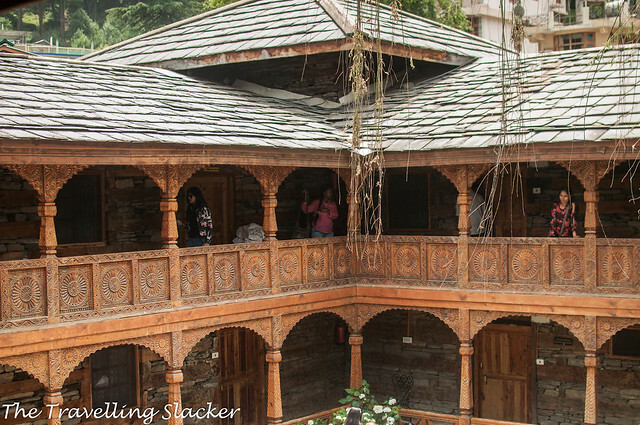 The Naggar Castle looks remarkable with its exquisite wooden carvings. 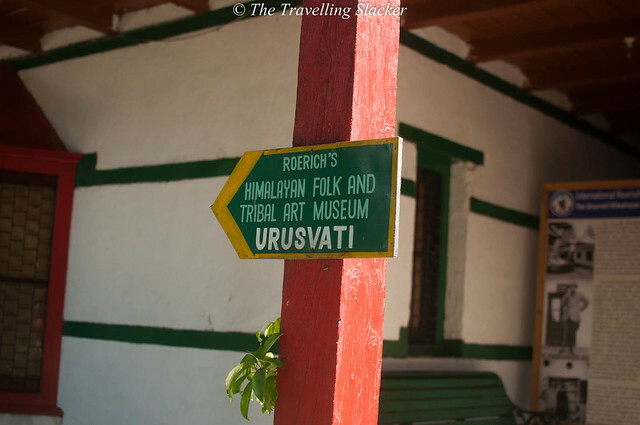 Roerich Memorial Trust looks like a tranquil place with so much of history and heritage hid in it. 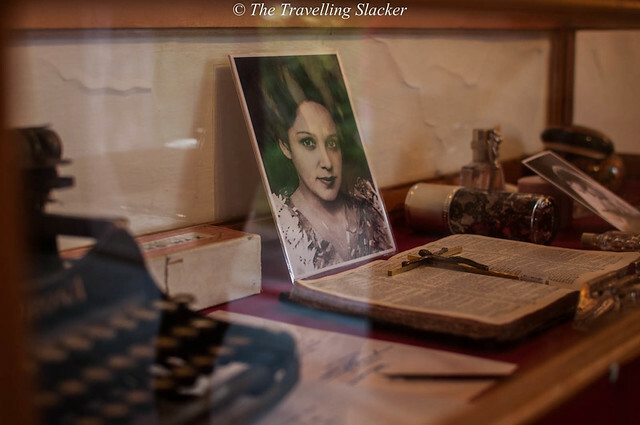 Devika Rani’s hut looks fascinating with so many beautiful pictures. The sculptures at Urusvati looks interesting too. True! Even I don’t remember the first instance when I came to know of Nicholas Roerich!!! Yeah, when we are so much accustomed to places that are not crowded, going to a tourist spot is actually painful!!! The architecture is fascinating though!